When a legal problem throws your life into turmoil. The law firm you choose can make a significant difference in the outcome of your case. Whether you are considering filing for divorce, or have been injured in an accident, you will find an experienced advocate at the offices of Henderson, Henderson & Staples, LC. Call us at 304-523-5732 or contact us by e-mail to schedule a consultation at our convenient office in Huntington, West Virginia. Personal Injury – From Car Accidents, Medical Malpractice Fraud Accidents, Workplace Accidents to Slip and Fall cases involving serious injuries or wrongful death. Business and Real Estate Litigation – Experienced, passionate representation for businesses and individuals involved in commercial disputes and litigation, including real estate and development. Family Law – We represent clients going through divorce and we handle issues including child custody and visitation, child support and spousal support and division of property. We also take cases involving domestic violence, paternity and adoptions, and child abuse and neglect. Criminal Defense – Our firm handles a variety of criminal defense cases, including, but not limited to white collar crimes, violent crimes, drug crimes, property crimes, juvenile law and delinquency. Administrative Law – Social Security, Unemployment, Division of Motor Vehicles, and Human Rights Commission. Estate Planning – Experienced advice on drafting your will to helping you through the probate process after the death of a loved one. For an initial consultation with the Office of Henderson, Henderson & Staples, call us at 304-523-5732 or contact us online. Our offices are open 9 am – 5 pm, Monday through Friday, **Evenings weekends and off-site appointments are available. Our team and staff was led by experience. 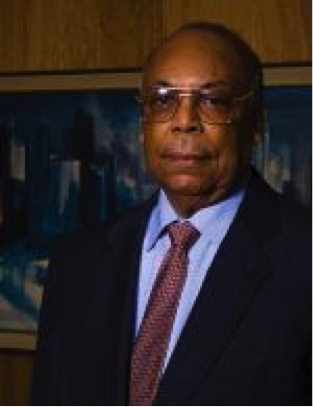 Herbert Henderson, the founder of the firm, had more than 50 years of experience in all aspects of personal injury, discrimination, family law, criminal defense, and civil litigation. Henderson was the first black student to graduate from the George Washington University Law School (1958), and completed it in less than three years, his daughter and law partner Cheryl Henderson recalled. When he wasn’t in class or studying, he worked at the post office and drove a taxi to support his family, which then included two young daughters. His family expanded to include two more daughters. Of his four children, three are attorneys at Henderson, Henderson and Staples of Huntington — Cheryl Henderson, Sherri Henderson and Gail Henderson-Staples. His other daughter, Leslie Henderson-Williams, is in pharmaceutical research. He was president of the West Virginia NAACP for 20 years, and was an advisor and counsel to the organization at the national level. He was lead attorney in the 1961-1965 Marshall University students’ desegregation case, John Hereford vs. White Pantry Restaurant. That resulted in the White Pantry and Bailey’s Cafeteria being opened to all races. Henderson also won the NAACP vs. West Virginia Department of Public Safety, which allowed African-American women to be admitted to the State Police. The Law Offices of Henderson, Henderson & Staples provides legal advice and representation for residents and business clients in Bankruptcy, Personal Injury, Medical Malpractice, Auto Accidents, Wrongful Death, Trucking Accidents, Workplace Accidents, Products Liability, Premises Liability, Fire Loss, Family Law, Divorce, Child Custody, Child Support, Paternity, Domestic Violence Restraining Orders/ Orders of Protection, Post-Judgment Modifications/Divorce Settlement Changes, Criminal Law, Misdemeanor Cases, Felony Cases, Writs of Habeas Corpus, Appeals, Magistrate Court, Circuit Court , throughout the Tri-State Valley and Cabell County in West Virginia We serve the communities of Huntington, Barboursville, Milton, Ona, Hamlin, Branchland, Ranger, Winfield, Teays Valley, Lesage, Apple Grove, Kenvoa, Ceredo, Wayne, Lavalette, Charleston, Cross Lanes, Beckley, Logan, Williamson, Pt Pleasant, Buffalo, Morgantown, Fairmont, Clarksburg, Princeton and Bluefield. Personal Injury Attorneys serving clients in the State of West Virginia. Copyright © 2017 Henderson, Henderson & Staples. All Rights Reserved.